(TriceEdneyWire.com) - The board of directors of the Central Intercollegiate Athletic Association (CIAA),has announced that the men’s and women’s basketball games will be held in 2021, 2022 and 2023 at Royal Farms Arena, an 11,100-seat facility in downtown Baltimore, about a block away from the Baltimore Convention Center and a short distance from the popular Inner Harbor. The arena was formerly known as the Baltimore Civic Center. 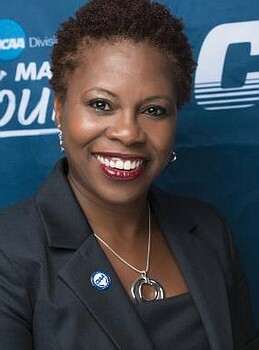 “This is an exciting time for the CIAA as we have an opportunity to bring the tournament to a new market,” said Commissioner Jacqie McWilliams. The annual CIAA basketball tournament has been held in Charlotte, N.C., since 2005 and will remain in Charlotte this season and next. This year’s tournament is scheduled Feb. 25 through March 5 at the 20,200-seat Spectrum Center, the home of the NBA’s Charlotte Hornets. It also is adjacent to the smaller Bojangles Coliseum. The tournament has become a lucrative event for any host city. Estimates show the basketball games, plus a nearly weeklong lineup of satellite events, pump some $50 million into the Queen City’s economy. Charlotte and Norfolk were finalists with Baltimore to host the tournament, beginning in 2021. Baltimore last hosted the tournament in 1951, when only men’s teams competed. Baltimore Mayor Catherine E. Pugh said the city is “honored” to have been chosen. The conference consists of mostly Black colleges and universities. The closest CIAA member to the new site is Bowie State University, located about 29 miles away. Morgan State University in Baltimore was a member of the CIAA from 1929 to 1970, when it left to join MEAC. Others CIAA member universities closest to Baltimore are Lincoln University of Pennsylvania, 235 miles; Virginia Union University in Richmond, 153 miles; and Virginia State University in Ettrick, 177 miles. Baltimore is 447 miles from the CIAA headquarters in Charlotte and from CIAA affiliate Johnson C. Smith University in Charlotte. The newest CIAA member institution, Claflin University in Orangeburg, S.C., is 540 miles from Maryland’s largest city. However, many people attending the CIAA Tournament and accompanying events are alumni and/or friends of former conference schools, such as Norfolk State and Hampton universities in Virginia, Howard University in Washington and Morgan State.